I’ve done a picture to try and help. I found that it didn’t look quite straight at first, but I did another round of just double crochet and it worked (I chained 1 and turned to start the next round) the dc’s on the right hand side can be replaced with htr (half trebles) but if you do that chain 2 at the corners. I hope this is useful to someone. Sorry if it’s not clear enough. Edit to add a thank you to Peach tree & lime jelly for the idea to do the picture like that (with the stitches written) and naturally to Attic24 for her amazing patterns! I will start by saying I love this blanket. A lot! 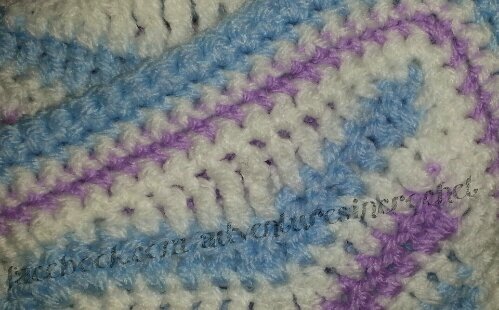 I do always love the blankets that I make so I know I say that with every blanket, but if I didn’t love what I make then what would be the point in making things? 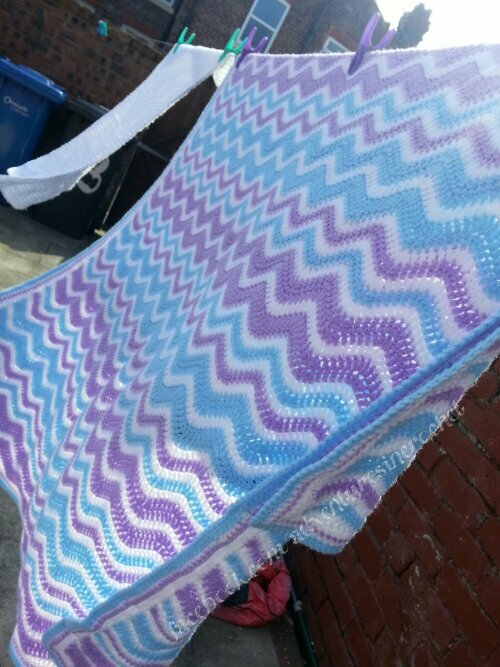 I was asked to do this blanket by an internet friend when she was pregnant. But like I did she stayed team green so we waited until baby arrived before picking colours. She had a baby boy and chose white, purple and blue. Once I sat down and lined the colours up I decided to change up the ripple a bit. 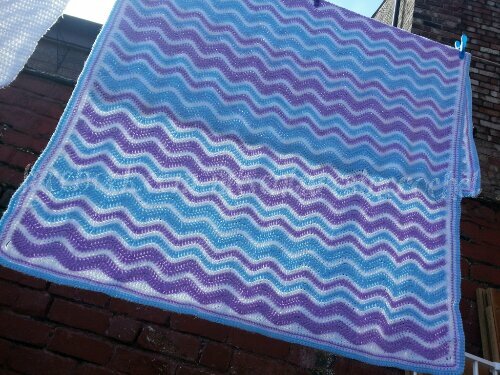 I still followed Attic24’s neat ripple pattern but I varied the colour changes because I didn’t want any one colour to totally dominate the blanket. 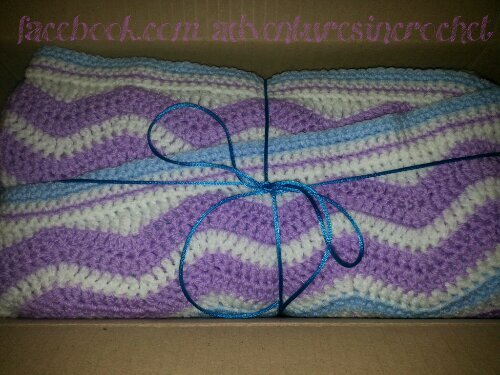 I do love when a blanket is received and loved but I do feel a smidge sad that I won’t be curling up on the sofa under it (making it) anymore! And little H keeps asking for it to give it a kiss! One last picture.. all packed up ready to go.